For many people, diagnosis with inflammatory bowel disease (IBD) can be an overwhelming and confusing time. Not just for the person with the condition, but also for those who are close to them. Being able to move forward following a diagnosis is important. People need to have the confidence to know that they can live well with their condition. 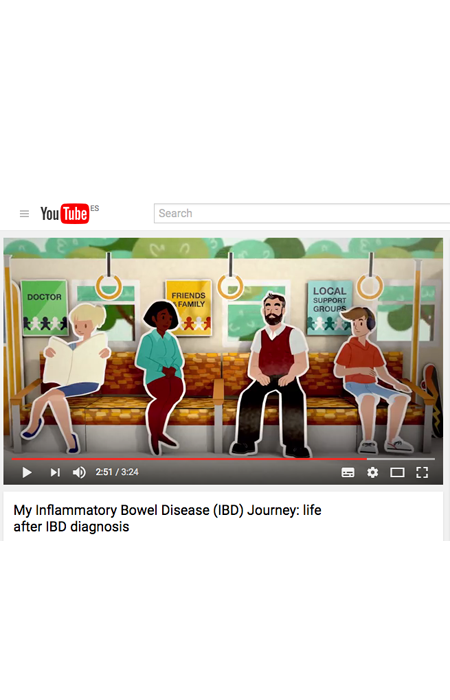 “My IBD Journey: life after IBD diagnosis” is based on the real-life experiences of people with IBD and provides advice and suggested positive steps people can take as they look to the future. This video has been produced by Janssen, in collaboration with the European Federation of Crohn’s and Ulcerative Colitis Associations (EFCCA).